New homes in Alaska may not come with a lawn and existing lawns face special challenges inherent in this far northern climate, according to the University of Alaska Fairbanks Cooperative Extension Service. The task of taming weeds and eradicating moss can begin in late spring, when the ground thaws to a depth of 2 inches. Alaskan lawns, especially around new construction, require nurturing to survive against weeds, winter damage and, in areas outside the rainy Gulf of Alaska and Prince William Sound coast, somewhat dry conditions. Alaska’s northern latitude and resulting cool temperatures can retard decomposition time of grass clippings, such that clippings accumulate in a lawn faster than they can decompose. A layer of thatch can accumulate that retards new grass growth and increases susceptibility to disease and winter damage. Bag or rake clippings and thatch the lawn annually using a garden rake when the grass is 3 years old to remove dead stems and roots. Winter damage may also be a risk for Alaska lawns, so it's a good idea to plant grasses such as red fescue and Kentucky bluegrass that can over-winter well. Alaska soils may register as acidic on the pH scale. Test the soil with a kit from a garden center to see if it falls below the ideal range of 6.5 to 7.6. Scatter agricultural lime to raise the pH and make the soil more alkaline. Allow a year for the lime to work. For compacted, poorly drained soil, use a power aerator device (which takes plugs out of the soil to create holes in the lawn) and top-dress with topsoil, compost or sand. Mossy soils require application of a fertilizer containing iron sulfate. From mid-June until the end of August apply 7 lbs. per 1,000 square feet of 20-10-10 fertilizer. 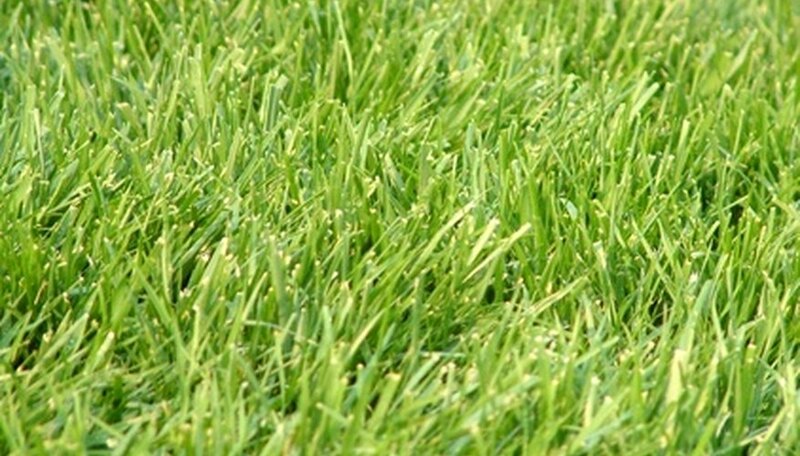 After the lawn develops deep roots, cut fertilization back to once in the spring and once in the fall. High-nitrogen fertilizer–such as ammonium nitrate (34-0-0)–can support leaf growth during the growing season, according to the UAF Cooperative Extension Service. When to Weed & Feed Grass?